Greetings my fellow Photographer friends or Nature/Travel Enthusiasts! 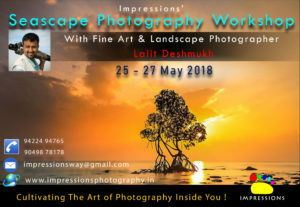 This is Lalit Deshmukh. 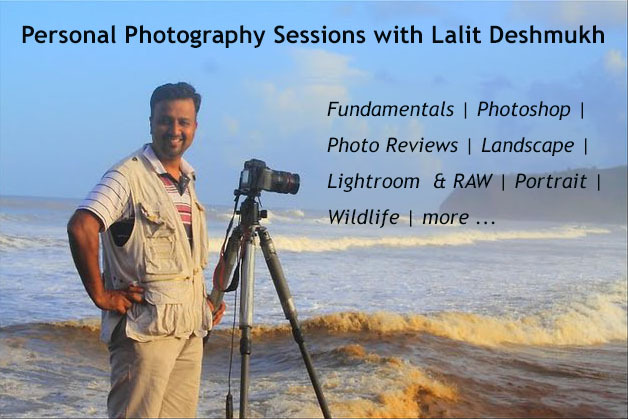 Every year since 2010, I am taking only one exclusive Seascape Photography Workshop to the beautiful Kokan. This is a combination of learning through workshop and the fun from the travel. I make effort to have it in a different location each year for everyone to come, travel and experience various parts of Kokan and learn as I travel with my participants to the edge of the sea. This year, I plan to stay in Central Kokan area, near Narvan or Hedavi and photograph the coast nearby. My sole intention is to share my secrets related to composition, make you capable of taking long exposures, understanding what to see, visualize, and also take care during the seascape Photography. This is a focused workshop 🙂 There will be multiple sessions, starting with preparatory session in Pune, on field sessions on the shore, learning and critique sessions when we return to the hotel. We will also be making sure that we have time to have good Maharashtra food, fun and informal gathering of everyone. Stay will be decent, but a typical Kokan style, nothing fancy. 🙂 Mostly triple sharing. 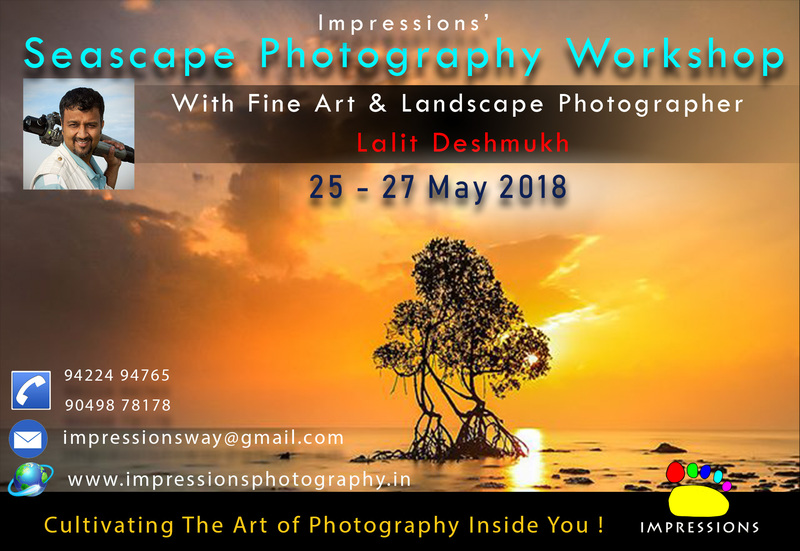 Special Insight session on Landscape Photography. Various techniques of Seascape Photography (Long exposures, Moving clouds Crashing waves, Landscape composition). Critiquing sessions and On field photography techniques. It is simple, you can pay cash or cheque or pay online to reserve your seat. The number of seats are limited and we will book your place, soon as the payment made. Early you do it, better it helps us to manage the logistics. I expect to have only 10 participants. Personal losses – including baggage, personal articles etc. 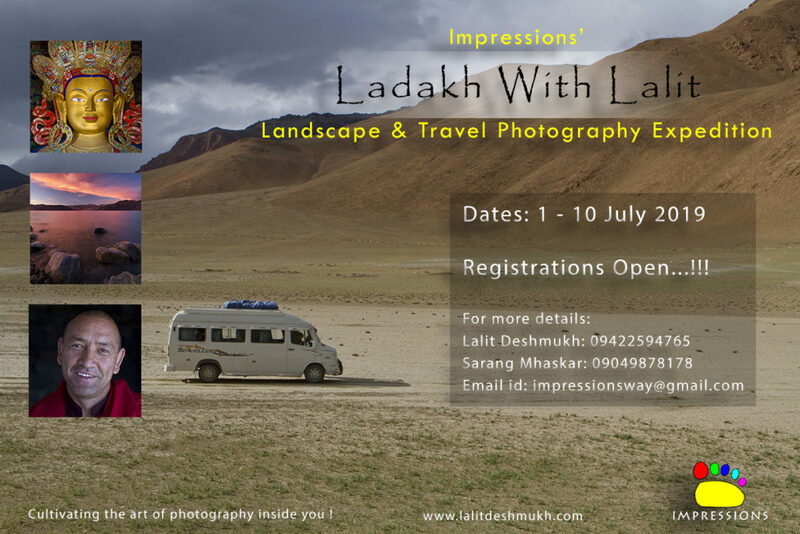 s my fellow Photographer friends or Nature/Travel Enthusiasts!